In India as well as other emerging markets across the world, there existed a real challenge in the labour market. Yes, existed, in the past tense. The challenge was that job seekers, particularly young people who had either just finished school or dropped out of school, were entering the market with no good resources to find out where work could be located. On the other side of the coin, employers were looking for skilled staff but didn’t know how to find them. This was happening on a mass scale, across the country, across the labour market. While most job seekers had basic phones, far fewer had access to the internet (and even if they had internet enabled phones, they weren’t using them due to expensive data connection rates.) In addition, there weren’t any real university or high-school job counseling resources. Notifyu set out to solve this problem using very basic technology. Whether looking for work or looking to hire staff, the service essentially saves time, saves money, and allows users to reach more people. Notifyu is a sms service based startup in rural India that connects opportunity seekers with opportunities via mobile phones. Since its start in 2014, Notifyu has linked thousands of young people with jobs and training. More than 20 leading aided organizations also actively use Notifyu’s mobile aid link services to get key information to and from communities in crisis. Notifyu’s technology is now used in over India, Vietnam, Latin America and Libya. Founder and CEO of Notifyu, Akiraa says, "During my travels, I noticed that the reason for unemployment is mostly because of lack of information, and a major reason for this lack of information is very less internet usage in the rural areas. The usage of internet is below 15%, and even this 15% of the people access the internet out of home." "I wanted to change the world but I never thought it would be with the help of mobile SMS services to improve the rural recruitment services. The concept is cool and simple, some people have the information and some people need it. Now if you facilitate the exchange of information from people who HAVE it to who NEED it, that’s powerful! For example, a job seeker creates his profile by SMS and will send an SMS to the Notifyu data base. If any opportunity is available matching his profile, Notifyu database sends an SMS back to him with the job opportunity details. The most important thing perhaps, is that it works on basic phones." she says, enthusiastically. 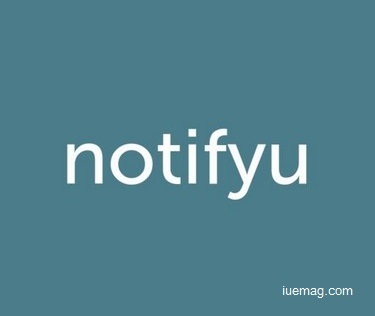 "Notifyu initially started off to just provide information, but now has something turned into greater. The information platform allows citizens and governments to effectively communicate with one another. We started off with the job sector, but soon we realized the information gap that exists in most sectors like power, transportation, pension payments, tax payments etc. The necessary part of ensuring every citizen has access to the basic public service at his finger tips is what makes Notifyu stand apart. The reason am excited about Notifyu is it stands for growth of digital India- to develop smart cities in India!" she concludes. Any facts, figures or references stated here are made by the author & don't reflect the endorsement of iU at all times unless otherwise drafted by official staff at iU. This article was first published here on 13th August 2015.